…it was still full of running awesomeness. It still makes me giddy thinking about how amazing last weekend at the Walt Disney World Marathon Weekend was, and I loved reliving every magical moment as I read everyone’s race reports: Cait’s clever-as-ever account captured the RW staff’s experience to a T, Robert’s Mickey Mouse wizard hat-wearing Goofy Challenge recap, Hannah’s post about her epically HUGE PR, Meghan’s enchanting entrance into the double-digits (she’s run TEN marathons! ), and the @TwinsRun blog about their first (and hopefully not last) RW Challenge race. Speaking of Meghan, veteran and especially newbie marathoners alike NEED to read her post about all that she’s learned from each of her 10 marathons. Who knew we had a very similar start in the world of marathoning!?! Bart Yasso, the Mayor of Running, shared my Goofy Challenge race report on his twitter and Facebook page, spurring tons of inspiring conversations with fellow Goofy finishers! Runner’s World new Facebook photo album celebrating race bling. Applying for media credentials with Hannah for the Millrose Games at the Armory in NYC on February 16. The field is absolutely stacked, and we’re excited to see some speedy elites (*ahem* Nick Symmonds) compete up close! 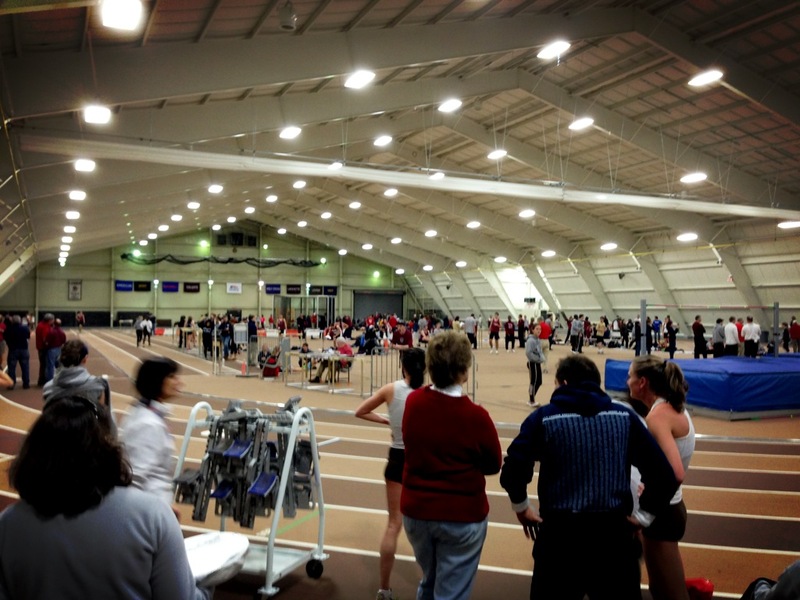 Heading over to Lehigh to watch my old track team compete. Boy do I miss my girls, but I’m so glad that I live close enough that I can come watch them race often! We’re hoping to meet up for some Sunday long runs soon, and I might dig out my spikes and test out the shiny new track in a couple weeks! Look how pretty the brown and gold mondo surface is! QUOTE OF THE POST: Finishing isn’t given; it is earned.